Dr. Dabney considers his staff to be a team of extraordinary individuals who join him in providing exceptional orthodontic care for each patient. He and his staff attend multiple continuing education seminar programs every year on a wide variety of subjects. 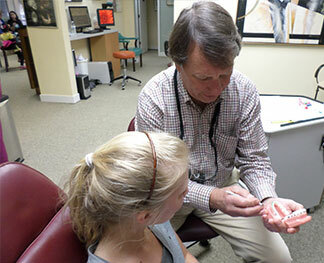 Dr. Dabney has completed over 250 hours of training and certification in the use of SureSmile® technology. All clinical assistants are recognized by the Academy of Orthodontic Assisting for completion of Orthodontic Assisting – Technique and Theory continuing education credits. Meet our fantastic team and learn about your treatment options at your new patient consultation! Contact our Midlothian Turnpike or Brandermill locations to schedule an appointment!